Interest rates and the economy are holding steady and the need nowadays for a second or third home is more apparent. Not only do you need a 2nd or 3rd home for your unique lifestyle but for income & investment purposes, as well. Big Island, Hawaii is a real estate environment in the pink of health and highly conducive for buyers and investors. It takes the right listing, timing, and expert real estate representation to acquire a highly bankable property on the Big Island for the best price. With this goal in mind, here are the five fundamental things that home buyers should consider. How much space do you need and which neighborhoods and clubs/resorts draw you in? Which specific locations on the Big Island speak most to your family’s preferences, lifestyles and desires? Hone in on your priorities, from the number of bedrooms and baths to home office space and lanai size to club access. Anchor your expectations on reality: the Hawaii Big Island home market is marked by premier custom built / high quality homes, limited developable land, and continual demand, including foreign buyers. 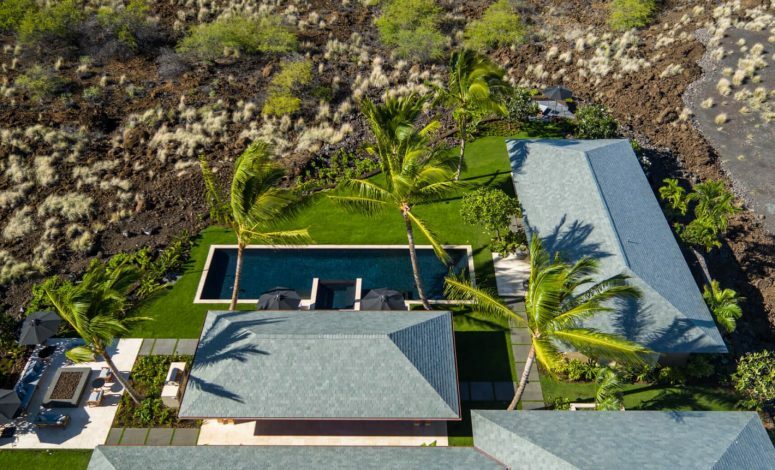 For many celebrities & Top CEO’s who have a Big Island home it is their crowning jewel. Not only does it provide salvation from the busy hubbub of the contiguous 48 but it helps you clear your mind, relax and recharge with like-minded people. Knowing these realities and factoring them into your current lifestyle and potential future changes will land you the right buying opportunity when you select a top broker like LuxuryBigIsland.com by Harold Clarke. Explore the market and representation services. Once you’ve determined your preferred area, lifestyle and property type, it’s time to study recent sales and trends as well as active listings. Understand the market in terms of median sales price and days on market. Know the inventory intimately through looking online or visiting open houses, sticking to your price range and limitations at all times. Real estate agents generally work for the seller, so try the option of having your own representation in the form of a buyer’s agent. Realtors mirror their clients, so seek out someone transparent about what they want, accurate, and detail-oriented. Off-island buyer? Harness all possible tools. It’s not difficult to buy Big Island property even if you don’t live on-island. This may have been true in the past with “snail mail” or fax as the norm in carrying out transactions, but today nearly everything happens online and entail much less paperwork. No matter if you’re in North America, Canada, Europe, Australia or Asia, there are plenty of online signing tools and extensive means of communications you may use: from email to your agent’s arsenal of apps and listings of recent sales, market trends, and other precious information. Once it’s time to get on your feet and visit the property, never be content with what you see on the outset. While you may not see any obvious issues, there may be concerns that broker can point out. They may be minor or direct deal breakers, so ask all the questions you have and negotiate with these potential issues in mind. It may help to hire a professional home inspector if you’re away, and if you seek to streamline the process and have peace of mind over the home you’re looking to buy. The Hawaii real estate market is an intensely competitive one for both buyers and sellers. Don’t get discouraged if you lose out on a house or a property. More than the price tag and the technical specifics, it takes time, patience, and persistence to make the perfect home or property all yours.